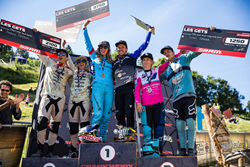 Monster Energy’s Troy Brosnan (AUS) has taken home the win at the Crankworx Les Gets Downhill for the second year in a row. The track in Les Gets is legendary. 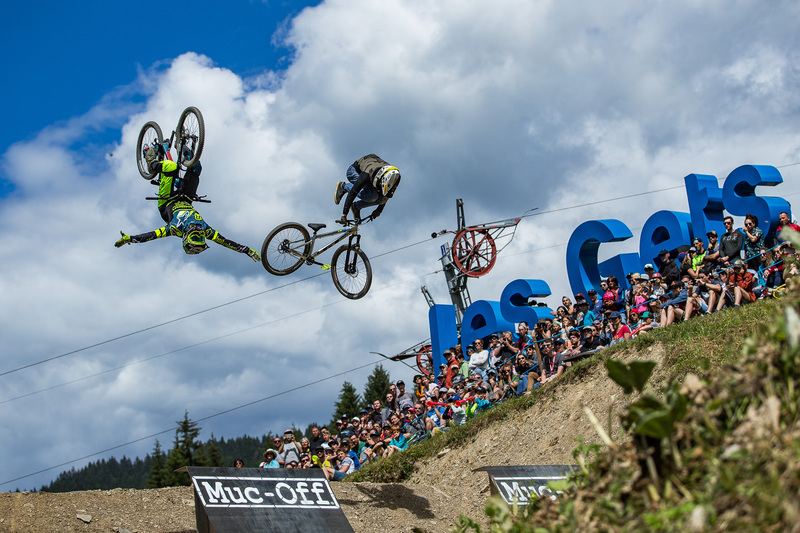 Having hosted the World Championships in 2004, it is still loved by riders worldwide for it’s incredibly high speeds, drifty grass turns and steep technical sections near the bottom. Ridden under perfect conditions this week, the stage was set for a spectacular race against some of France’s hometown heroes. The young Aussie, Brosnan took home the victory and bested his own time from last year by two seconds, despite a catastrophic near miss toward the bottom of the track. After making up time in section after section of the track and finally turning the split timing green, Brosnan blew his hand off the bars on a gap and somehow maintained control while hanging onto basically only his brake lever. 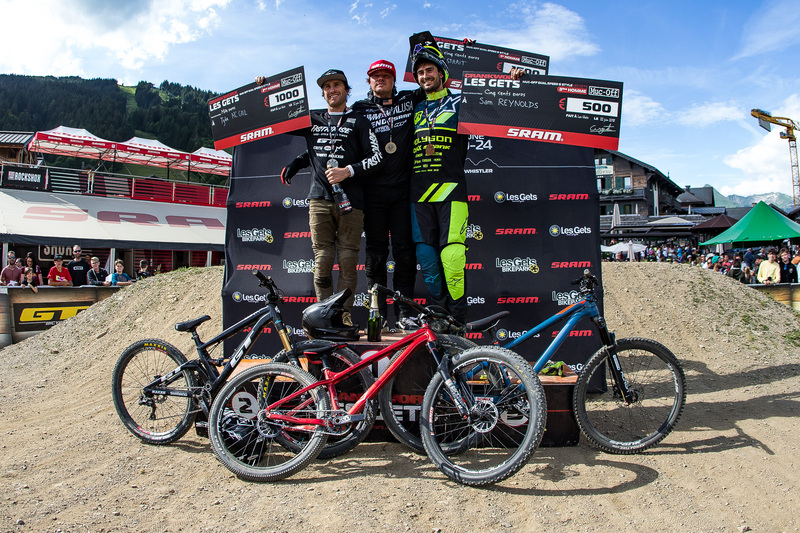 Sam Reynolds (GBR) took home another podium finish this week hot on the heels of his silver at the Innsbruck round earlier this month. 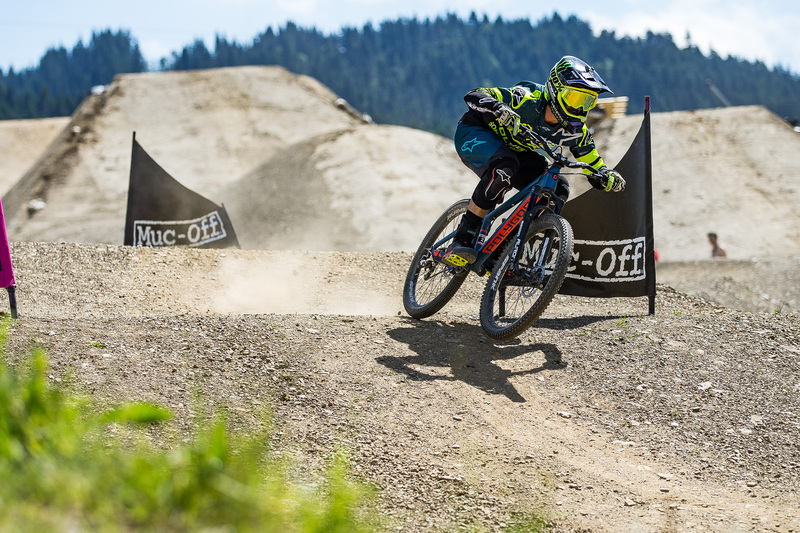 Reynolds took bronze in the speed and style event, which will boost his overall ranking and should set the stage for an exciting finish come a month from now at the final top of the Crankworx tour in Whistler, Canada. Canada’s Mark Wallace rode to an 11th place finish in the downhill alongside Brosnan. Brendan Fairclough (GBR) took part in both the downhill and pump track events. In the pump track Fairclough went out in round 16 to eventual winner Keegan Wright. 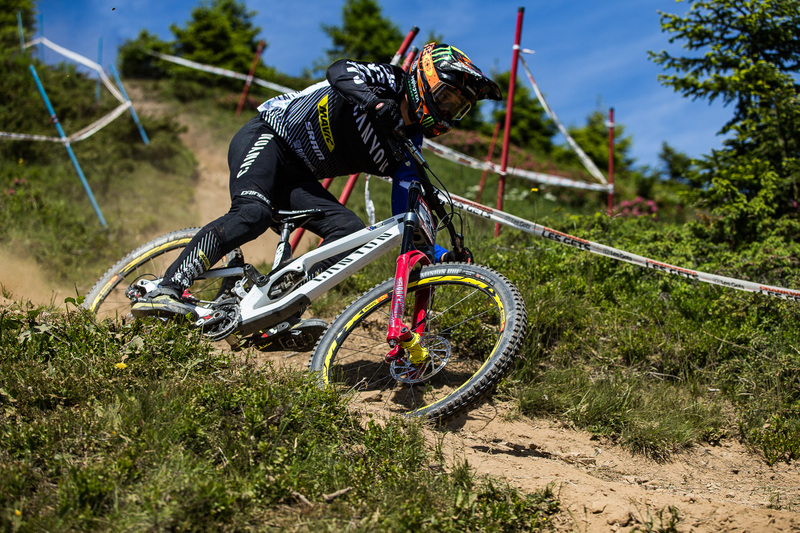 In the downhill he drifted his way into 15th place. 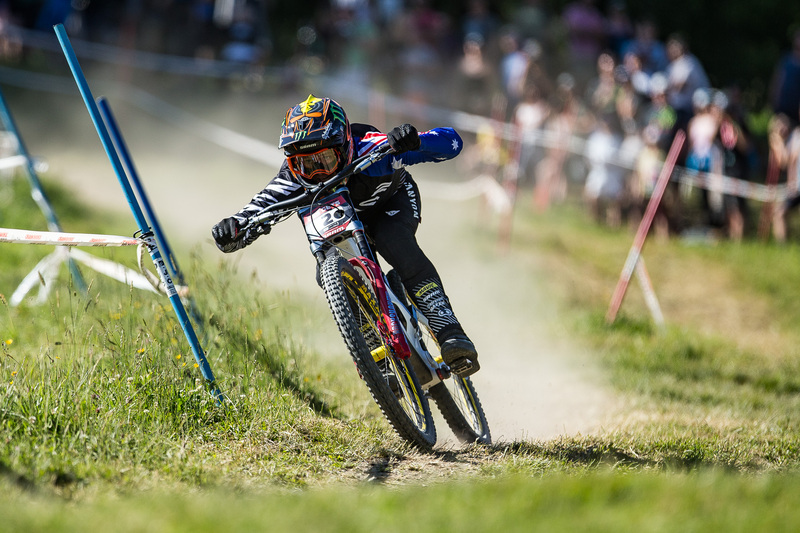 Next up Brosnan now heads to the Val di Sole to compete in the next round of the World Cup July 6-8. Download photos for editorial use only. 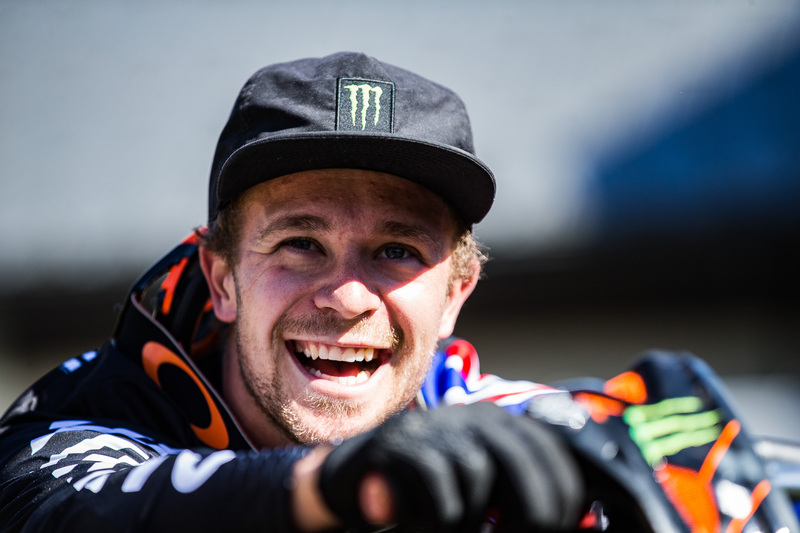 For more on Brosnan, Reynolds and the rest of the Monster Energy team visit monsterenergy.com and make sure to follow Monster Energy’s Facebook, Instagram & Twitter for exclusive updates. About Monster Energy: Based in Corona, California, Monster Energy is the leading marketer and distributor of energy drinks and alternative beverages. Refusing to acknowledge the traditional, Monster Energy supports the scene and sport. Whether motocross, off-road, NASCAR, MMA, BMX, surf, snowboard, ski, skateboard, or the rock and roll lifestyle, Monster Energy is a brand that believes in authenticity and the core of what its sports, athletes and musicians represent. More than a drink, it’s the way of life lived by athletes, sports, bands, believers and fans. See more about Monster Energy including all of its drinks at http://www.monsterenergy.com.